We sat down to table and the officer began his story: “I have served in the army ever since I was quite young. I knew my duties and was a favorite of my superiors as a conscientious officer. But I was young, as were also my friends, and unhappily I started drinking. It went from bad to worse until drinking became an illness. When I did not drink, I was a good officer, but when I would start drinking, then I would have to go to bed for six weeks. My superiors were patient with me for a long time, but finally, for rudeness to the commanding officer while I was drunk, they reduced my rank to private and transferred me to a garrison for three years. They threatened me with more severe punishment if I would not improve and give up drinking. In this unfortunate condition all my efforts at self-control were of no avail and I could not stay sober for any length of time. Then I heard that I was to be sent to the guardhouse and I was beside myself with anguish. “I wasn’t very open to this idea so I objected, ‘How can your Gospels help when neither my efforts at selfcontrol nor medical aid could keep me sober?’ I spoke in this way because I never read the Gospels. “I do not recall what I gave the monk when I took the copy of the Gospels from him, but I placed the book in my trunk with my other belongings and forgot about it. Some time later a strong desire to have a drink took hold of me and I opened the trunk to get some money and run to the tavern. But I saw the copy of the Gospels before I got to the money and I remembered clearly what the monk had told me. I opened the book and read the first chapter of Matthew without understanding anything. Again I remembered the monk’s words, ‘At the beginning be concerned only with reading it diligently; understanding will come later.’ So I read another chapter and found it a bit more comprehensible. Shortly after I began reading the third chapter, the curfew bell rang and it was no longer possible for me to leave the barracks. “In the morning my first thought was to get a drink, but then I decided to read another chapter to see what would happen. I read it and did not go. Again I wanted a drink, but I started reading and I felt better. This gave me courage, and with every temptation for a drink I began reading a chapter from the Gospels. The more I read, the easier it became, and when I finally finished reading all four Gospels the compulsion for drink had disappeared completely; I was repelled by the very thought of it. It is now twenty years since I stopped drinking alcoholic beverages. What a wonderful story of the multifaceted ways in which Christ works in our lives! Notice first how Christ uses human agency (the monk) to introduce the young soldier to his Gospel. Notice the monk’s persistence and the faith he has in the transformative power of the Gospel in people’s lives, a faith based, in part, on past experience. Next, pay attention to how Christ used circumstance instead of understanding to stay the young soldier’s hand from drinking. He read the Gospel without understanding it, but was prevented from going on a drinking binge because he had lingered in his quarters to read it. If you are struggling with your faith, read, mark, learn, and inwardly digest this story and its lessons. Here is indeed balm for your soul! Sermon delivered on Trinity 5C, Sunday, June 26, 2016, at St. Augustine’s Anglican Church, Westerville, OH. Lectionary texts: 2 Kings 2.1-2, 6-14; Psalm 77.1-2, 11-20; Galatians 5.1, 13-25; Luke 9.51-62. In a few moments we are going to baptize a brand new member into God’s family in Jesus. But given what Jesus said to those who wanted to follow him, why would we do this? Why would any of us be willing to be Jesus’ disciples? This is what I want us to look at today. In our gospel lesson this morning, Jesus has some surprisingly harsh and uncomfortable things to say to would-be followers of his. Luke sets the broader context for us by reminding us that Jesus has resolutely decided to go to Jerusalem where he will be rejected, tortured, and killed in one of the most brutal ways imaginable. In other words, Luke is reminding us that in Jesus we are looking at a rejected leader. Jesus’ rejection in the Samaritan village is but a preview of what will happen to him in Jerusalem. And implicit in this warning is an attendant one. Those who follow rejected leaders will often find themselves rejected. So in telling this story, Luke is forcing us to answer this question: Are we willing to follow a rejected leader? We see this fleshed out in the three would-be followers of Jesus. The first comes to him and volunteers to follow Jesus wherever he goes. Jesus responds by telling him that even the animals have it better than Jesus. They have homes with their relative stability and comfort. But those who choose to follow Jesus? He tells us that we must make him our first and only priority. All other things that can prevent us from following him must go, if necessary. You know, for example, our desire for stability, our cozy homes, our insistence on economic security, our desire for power and prestige, our love of all kinds of material stuff. All these things have the power to distract us and siphon off our loyalty to Jesus, who calls us to deny ourselves, take up our cross, and follow him. As Bonhoeffer famously put it, “When Christ calls a man, he bids him come and die.” And sometimes Jesus asks us to ditch these things for him. If we choose to follow Jesus, we must not let our love for material possessions get in the way of following him. Jesus turns around to see who is following him and notices the line has gotten much shorter. Likewise for the other two would-be followers. All the social things we consider to be important, even burying our dead loved ones, must not take priority over following Jesus. There is an urgency in his warnings. You can’t let anything or anyone stand in the way of taking up your cross and following me, including those responsibilities you honor most. Jesus looks again at the line of folks following him and it is desperately short now (are you still in it?). We are being reminded of the cost of discipleship. It is a wonder anyone shows up to worship on Sunday. So why would we want to follow Jesus with all of his stern demands for our ultimate love and loyalty? Why would Aiden’s parents want to have him baptized? Are we all deluded masochists who want to lead miserable and severely austere lives for Jesus’ sake? Well, some of us might be like that, but the answer is no. We are willing to follow Jesus for one reason: Freedom. But freedom in what sense? To answer this question, we have to look briefly at the overarching story of the Bible to be reminded what it is all about. Scripture is not God’s rulebook chocked full of eternal timeless truths, although such truths can be found throughout Scripture. No, the Bible is the story of how God is rescuing his good world gone bad. Integral to that story is why God created humans in his image in the first place. God created us to be his good stewards to run God’s world on his behalf by reflecting God’s goodness out into creation as wise and benevolent rulers, and reflecting creation’s praise back to the Creator. And as Genesis 1-2 make clear, when we were faithful to that charge, we lived in paradise and things were wonderfully whole and good and healthy and beautiful. But we didn’t want to rule God’s world on God’s behalf. We wanted to rule it on our behalf, even though we were never equipped to do so. Instead of God’s goodness being reflected out into his world through humans to sustain its goodness, our sin caused evil and chaos and disorder and sickness to spread out into God’s world to corrupt it, and our rebellion got us kicked out of paradise. But God, being faithful to his creation and especially to his image-bearing creatures, set out to right the wrongs we introduced, to overcome our sins, and to defeat the evil and death that resulted. Thanks be to God! Now most of us, when we think about how God operates, think like the psalmist in our psalm lesson today. We know God is all powerful so we expect God to use that power and zap all that is wrong with the world. The problem with that, however, is that if God did that, we would be zapped along with everything else because we are part of the problem. We all have sinned and we all have the potential for evil, and God cannot ultimately countenance either sin or evil. But if God zapped us, then his creation would be a failure and God would have to start over. But Scripture makes it very clear God never intended to do that (see, e.g., Genesis 6.9-9.17) because God created us for relationship and life and goodness and health and happiness. To put it differently, people matter to God because God has chosen to run his world through human agency. This doesn’t mean God cannot act in extraordinary and jaw-dropping ways to demonstrate he is worthy of our worship and loyalty. Scripture is full of examples like this, our OT lesson included. But that seems to be the exception rather than the rule. God in his unsearchable wisdom has chosen to run his world though us. That is why he called his people Israel—to bring his healing love and blessing to the world. And that is why God became human in Jesus—to fulfill Israel’s role to be a blessing to the world, to be the one true and faithful Israelite. As Luke reminds us, Jesus was going to Jerusalem to die for us so that God could deal adequately with our sin and the death and evil it causes without destroying us. In other words, God was doing the impossible work of bringing healing and life and his blessing back to his world in the manner he always intended so that we could be his true image-bearing and wise stewards. That is what Jesus’ resurrection points to. Jesus’ resurrection points us to the day when the new heavens and earth are ushered in fully at his Second Coming. The new heavens and earth will be ruled by—us on God’s behalf, because in Jesus’ death, our sin and the evil it has produced have been dealt with decisively. Not yet in full to be sure, but that day’s a’coming. And what do we need for us to be those wise stewards? Freedom. Not freedom to follow our own fallen desires that Paul lists in our epistle lesson. Those things cause death and will be excluded in God’s new world, and for our good. Who wants to deal for all eternity with strife and enmity and fear and the suffering that such behavior causes? No, in Jesus’ death and resurrection we are freed to be the truly human beings God calls us to be, i.e., we are made free to love so that we will once again live like God’s image-bearing creatures because God is love. This was the problem in the churches at Galatia. Agitators had infiltrated the church and had convinced some that to be followers of Jesus, they had to follow works of the law, i.e., they had to become Jews. They had to be circumcised and eat only kosher foods. They couldn’t eat with Christians who refused to do so. And the result? Dissension, factions, strife, anger. We all know how this game is played. Imagine what would happen if I insisted that any of you who weren’t baptized by full immersion weren’t legitimately baptized and therefore not eligible to receive communion. What do you think would happen to our parish family? By insisting that mode of baptism is more important than the spiritual reality of new birth it symbolizes, I would effectively be insisting that human practices and teachings are more important than God’s. Being Jewish could not heal and transform people. Neither can modes of baptism. Only faith in Jesus who is present and available to his people in the power of the Spirit can do that, so that instead of doing the things that come naturally to us and cause death, we learn to do the things that produce the fruit of real life. If we read the two contrasting lists of behaviors simply as lists of dos and don’ts we must follow and avoid to get our ticket punched, we misunderstand what Paul is telling us. Paul isn’t telling us that we have to follow the rules or otherwise we’re toast. If that were the case, nobody would be in God’s new world, i.e., God’s kingdom, because we’ve all done most of those things on the naughty list. It’s our first nature, and behaviors like anger, idolatry, and strife come naturally and ultimately dehumanize us so that we are not free to love. As we have just seen, trying to emphasize human works like circumcision or modes of baptism won’t do anything to fix the problem. It will only make our problems worse! That’s not the way it should be, Paul warns, because focusing on those things plays right into our natural, corrupted desires and needs (remember, Paul is talking about patterns of living, not occasional behaviors). And when that happens, we cannot love in the way God created us to love, in the way Christ loved us and gave himself for us by dying for our sins so that we could live. This way of loving doesn’t come naturally and we need the help of the Spirit to become such people. This doesn’t mean we sit back, act snotty, and wait for the Spirit to magically transform us. It means we resolve to rely on his power and presence to help us learn to love as the fully human beings we are created to be. And when that happens, we discover a surprising thing. Instead of being joyless, we become joyful. Instead of strife, we become patient with each other. Instead of focusing on following the rules which only feeds our pride, we focus on loving each other well and bearing with one another in our joys and sorrows, even when we don’t always agree with each other. This is what it means to live as God’s people. We eat and drink together. We play and work together. We love each other sacrificially. We pray for each other and weep for each other. We celebrate with each other and are each other’s cheerleader because we want the best for each other as God intends for us, which is the very definition of real love. I think overall we do this pretty well as a parish family and there is real power in this because people are starved for this kind of community and connection that can only be lived out when we are truly free people. And only when we are truly free will we learn what it is like to be God’s image-bearers so that we can live accordingly as rulers on God’s behalf in God’s new world. This is why we risk following Jesus, our rejected leader. This is why we baptize Aiden. To be sure, it is a hard thing to follow Jesus. Life is enormously messy and so are we. But there is no greater prize in the world than to become truly human by becoming like Jesus in the power of the Spirit. When we decide to risk it all and follow our Lord, we will find not only life and health, we will discover the joy of being truly human. We have a taste of what that looks like here at St. Augustine’s and I hope you all understand that. Because if you do, you know that you not only have Good News, but are living it, now and for all eternity. To him be honor, praise, and glory forever and ever. A very appropriate and helpful article, whether you are a Christian or not. See what you think. Deacon Terry Gatwood: Paul and the Law: What Things Must I Do To Be Saved? Sermon delivered on Trinity 4C, Sunday, June 19, 2016, at St. Augustine’s Anglican Church, Westerville, OH. Lectionary texts: 1 Kings 19.1-15a; Psalms 42.1-43.6; Galatians 3.23-29; Luke 8.26-39. Despite what may be in the bulletin, you better be paying attention this morning. I’ll be distributing a quiz during the passing of the peace that will include ten multiple choice questions, a short essay, and for bonus points your best joke about Kevin for future use from the pulpit. Paul understands this through the promise that was given to Abraham before circumcision or the Law was ever even given, that his descendants would be so numerous that counting them would be impossible, and that through him all the nations of the earth would be blessed. It was a unilateral act of God that always had in mind the inclusion of people outside of ethnic Israel. But what about the Law? If the law has been fulfilled by Jesus, then what are we to make of it? Paul answers this by explaining that the Law has acted as a schoolmaster, or a tutor, which has taught us about God’s holiness and sovereignty. God’s people have been cared for and taught under the Law. But the Law was never an end. It was the schoolmaster, or the tutor that taught us. It was a tether, meant to keep God’s people in communion with him until the time when they no longer needed the schoolmaster or tether. I’m reminded of the kid leashes my dad and mom had for us when we were children and would go to the Ohio State Fair. They kept us from wandering too far away, but if we worked hard enough at it we could most certainly slip away and go running through the Bricker Building, crashing into whatever display stood in our way. The leash was a reminder to me that, as a child, I was incapable of caring for myself, even if I thought I could. And I REALLY thought I could take care of myself. The Law, like the leash, cannot save someone from harm if the one on the end of the tether does not want to be safe and close to the Father. But the Law did, and still does, one thing that cannot be overlooked: it points to the Law fulfilled. It points to Jesus Christ. It wakes us up to the fact that through its rites and ceremonies, and through the sacrifices that were made in the legal system, that the whole narrative history of Israel is always pointing, constantly pointing, straight towards Jesus and the promises that were made to Abraham, and are realized by grace through faith. It is Paul’s argument against these agitators that it is precisely because the promise was given to Abraham prior to circumcision and the Mosaic Law that our justification does not come after following God’s Law, but is given to us before it. Let me tell you a story. It was a beautiful summer day in 1998. A group of kids were sitting in the dugout at their local baseball field awaiting their coach for practice. The sun was shining, everyone seemed to be in great spirits, and the typical teenage boy banter was going back and forth between the boys. At the end of the dugout sat one boy. He was mostly a quiet kid. He had been overlooked by other kids when they were gathering together others to form their teams for the summer league. He was a little chubby, wore glasses, and wasn’t terribly quick. And no, I’m not talking about myself. He was also known as being the “church kid.” If anyone had cared to talk with him they’d have learned that he was really one of the greatest guys they’d ever come to know, but the issues of teenage politics kept them from doing so. Why do I tell you this story, you might ask? Because it presents a truth that is so simple that Freshmen in high school can understand it. Jesus fulfilled the law’s requirements, and he reenacted in himself the long and stained history of Israel, but did it without blemish of sin or transgression. And now the law that we follow is a fulfilled Law, very much alive and active on our behalf now. This is Jesus. And, as has been promised in the Prophets, God’s Law will be written on our hearts and minds by the Holy Spirit who came into us at baptism to mark us and make us truly alive, breaking us free from the schoolmaster and tether, causing us to grow and be like Christ here and now. This law that is written on our hearts and in our minds is this: that you should love the Lord your God with all your heart, and with all your soul, and with all your strength, and with all your mind; and the second greatest commandment and summary of the Law is that you shall love your neighbor as yourself. For in our baptism into Christ we have put on Christ. He has taken our old and filthy rags of our self-attempt at doing righteous deeds and cast them away, and now he clothes us with his righteousness, enclosing us in white garments signifying the holiness of life we can now live because of the grace of God alone. Bathing before baptism (trying to clean up our acts before being united with Jesus) would be akin to wallowing in a pigsty with a bar of soap. We cannot make ourselves clean; neither can following the legal requirements of the covenant that pointed to what life in God’s kingdom through Christ would look like. It is in the baptismal waters where we encounter God’s Holy Spirit beginning the work in us, and uniting us with Jesus himself, and his body the Church. Circumcision is not a follow on to this saving faith in Jesus. It’s is the old pattern that is no longer in effect for us as Christ has already completed its demands. But the Law does still exist, and whenever we read it or speak about it it reminds us that, although we are saved by God’s grace, we are still at the same time sinners. Sinners saved by grace. Simul iustus et peccatore. And this causes us to cling to God’s grace all the more. We still don’t deserve it based upon our own merits, but solely cling to Jesus name. We accept his invitation for all to come to his bath waters, the sacrament of baptism, that we may be made clean and indwelled by his Spirit. It is through this uniting with Christ and his holy Church through baptism that we are set free; free to do good works, to bless, to heal, to forgive, to love with a heart filled with God’s love. It is what will cause us to say to someone, “Grace and mercy are yours in Jesus Christ.” If we were to continue under the law we would be less merciful, as we would all be bound children crying out for justice whenever someone transgressed the law. We would shame people for not doing what we feel they should be doing. It’s when we fly some bird shape at people in traffic with whom we may have disagreed with their driving style. But under the grace of God, the fulfillment of the Law in Jesus, we do not do these things. Rather, we love people. We love people right into God’s kingdom, and to their uniting with the Triune God and the Kingdom of God on earth, the Church. We know they are coming from a place where the law reigned, and is evident in the devastating after-effects of sin in this world and in their lives. So we gently speak to them, and we treat them as equal with us. For we being simultaneously righteous and sinner must remember that we still are sinners who are saved by grace. We were that other person once upon a time. And it’s the Law that reminds us of that, making this gospel message clearly more beautiful by the moment. There is now neither Jew nor Greek, slave nor free, male nor female, for we have all been baptized and saved by the Lord Jesus Christ, marked as sons and daughters of the Father by the Holy Spirit, and transformed for a new life. A life of holiness after the Law of Christ that the Holy Spirit will write on our hearts, as was promised. No longer should there be a distinction and discrimination between races and classes of people here in the Church as there were in the time of Paul’s writing. The pattern of superiority and inferiority has become irrelevant: it does not matter as far as belonging to Christ and being Abraham’s true heir goes, whether you are whatever you are. What you are, or for those in this room who aren’t can be, is God’s own adopted child, dearly loved and cared for. You’ve been given good gifts, and are called to do good with them in your love and service for the Lord. You’ve been circumcised in the heart as was foretold by God in Deuteronomy, and then echoed by Paul in Romans. So, my dear brothers and sisters live a life of serving the Lord, loving him with all your heart, and mind, and soul; and love your neighbor as yourself. This is our standard in Christ. Proclaim the freedom of Jesus Christ to all who need to be set free from the curse of the Law, that it cannot save although it still can teach us about the one who did and does save us, and why we needed to be saved. May the Lord of grace and mercy, the Lord who has set us free, imprint his law in our minds and our hearts, circumcising them, that we may be holy and pleasing in his sight as we do our work in his Kingdom and world. My dad has been dead now for over 12 years. In some ways it seems like an eternity, that he was never here, but thankfully I know that’s not true. I still miss my dad as much as I did the day he died but I am really happy for him because I know where he is. I know he is healed from all that bedeviled him in the last years of his life. I know he is reunited with mom and the rest of his family. I know they are enjoying their rest in the Lord and are safely in his care. How could I be anything but glad for him? My dad continues to influence me in a thousand different ways. He’s instilled in me a sense of responsibility for my family. He instilled in me a love for life and made me understand the importance of being a responsible and good community member. He also taught me a thing or two about honoring my family name, although I have not always done a very good job with that. I have his fierce streak of independence in me in ways that I am only now beginning to understand. Dad owned his own business and because it never grew very big, he struggled financially. But I know he wouldn’t have traded it in for anything in the world. He loved being his own boss and contributing to the growth of his community in that capacity. In fact, he was voted as outstanding young businessman by the JCs shortly after he returned home from the Army. Maybe that is one of the reasons I enjoy being the rector at St. Augustine’s Anglican Church. I am proud of my dad for serving his country during WWII. He loved his country, but never blindly. He kept a balanced perspective on life and loved to be with his friends, especially mom’s and his dear friends, the Terrys. I am proud of my dad for the courage and grace he displayed throughout his life, especially in the last years when his body slowly robbed him of his mobility. I know that had to be hard for him, very hard. But he never complained, never lost his good spirit or sense of optimism. Dad always believed things would work out for the best and he lived that belief right up to the day he died. Dad also taught me to persevere, to never tuck my tail and run. That has helped me in many ways over my life because perseverance can indicate a belief in our ability to get the job done, even if we need a little help from our friends on occasion. Our home was always stable and I could always count on a sense of regularity and familiarity. I knew when to expect him home. I knew when he would be at work. I didn’t have to worry about him running around or being reckless with our family’s resources. This familiarity did not breed a sense of contempt. Instead, it fostered a sense of security and stability. Like my grandpa Maney did with him when he was a boy, my dad took me to a ball game every year, starting when I was 5 years old, and that string continued unbroken until the last year of his life when he could no longer get to the ballpark. We would usually go to Cincinnati, but during the baseball strike in the early 1980’s we went to watch the Toledo Mudhens game so that our streak would not be broken. He would let me invite a buddy to come with me and I am sure we drove him nuts on more than one occasion. But he never complained, never got angry with me or my invited friend. Dad also played catch with me on a regular basis when I was a kid. Hit me in the mouth with pitched balls on more than a few occasions (well, maybe I just missed the pitched balls, which then hit me in the mouth—but I like my story better). Another fond memory I have of dad is when he took me to Canada to go fishing a couple of times. Neither one of us were great outdoorsmen but we survived somehow and got along just fine. 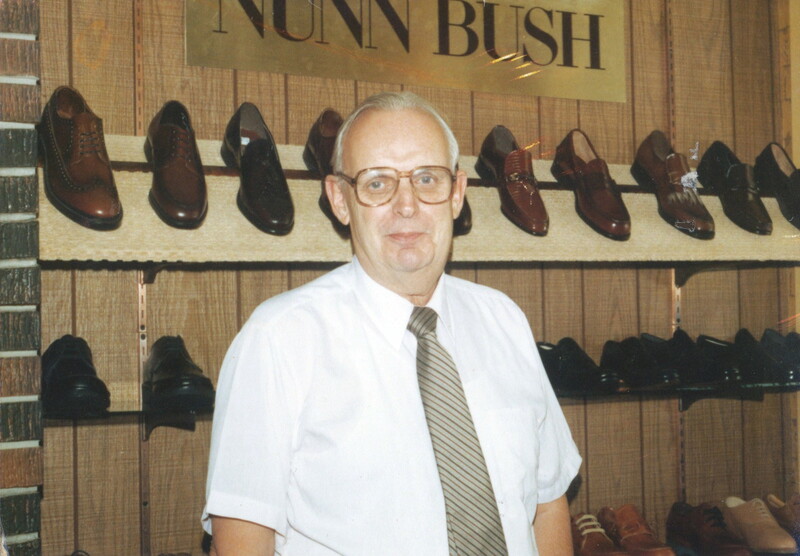 I worked for my dad at his shoe store and he was a tough boss. He always told me that working for your dad was the worst thing you could do because dads expected more out of their kids than out of their regular employees—and he practiced what he preached. But in hindsight that was a good thing for me because it taught me to do my best. I could go on and on but I’ll stop here and just enjoy some more fond memories of my papa. I hope that some day, God willing, I can be the man my father was. I’m almost 63 now and I’m not there yet, not even close. But even if I don’t reach the goal, I am thankful that God blessed me with my dad for almost 51 years. Thank you, God, for blessing me with my father, John Fox Maney. Thank you dad, for being the Father you were to me. Happy Fathers’ Day, Bear. I love you. A tragedy of catastrophic proportions. Once again the face of evil rears its awful head. Lord have mercy on the victims and their families. Lord have mercy. Christ have mercy, Lord have mercy. 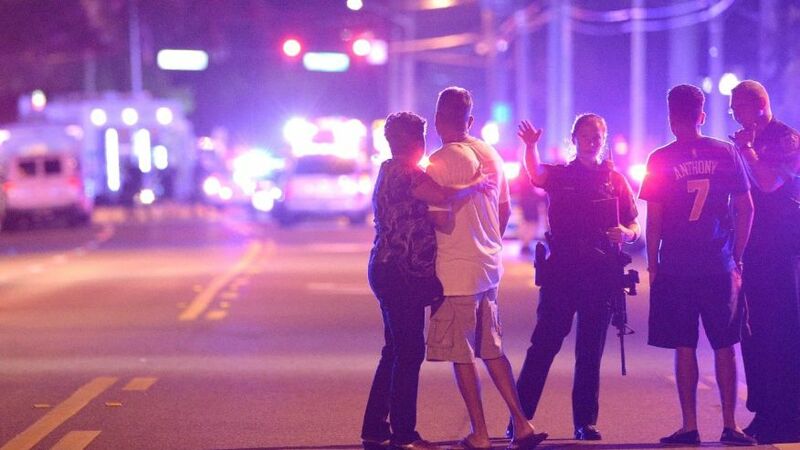 The shooting in Orlando at Pulse, which bills itself as “the hottest gay bar” in the city and was packed with more than 300 people for “Latin Night,” was reported minutes after 2 a.m. Sunday. In addition to those killed inside the club, at least 53 people were taken to area hospitals. Sermon delivered on Trinity 3C, Sunday, June 12, 2016, at St. Augustine’s Anglican Church, Westerville, OH. Lectionary texts: 1 Kings 21.1-21a; Psalm 5.1-8; Galatians 2.15-21; Luke 7.36-8.3. In our epistle lesson this morning, Paul talks about Christians being justified by our faith in Christ. In other words, we are put right with God and declared to be not guilty for the sins we have committed. But I suspect for many of us, this means little to nothing. After all, justification is a legal term and a rather clinical one at that. Moreover, we tend to talk about being justified by faith in Christ in the abstract. It just doesn’t hit home for a lot of us. So what does justification look like on the ground and why should we care? This is what I want us to look at this morning. In his letter to the Roman churches, Paul wrote that we should, “consider the kindness and sternness of God” (Romans 11.22). It is important that we keep the two attributes in balance because if we ignore the former we have a God who is a raging tyrant, angry and vindictive, waiting to strike us down for the slightest mistake. We see the sternness of God in our OT lesson. Ahab, the king of Israel, resorts to deceit and murder to get what he wants, namely Naboth’s plot of land. The result? God sends his prophet Elijah to condemn Ahab to death for his sin. We also hear the psalmist in our lesson this morning talk about a God who takes no pleasure in wickedness and who can countenance no evil, a God who abhors the deceitful and bloodthirsty, and who hates all who work wickedness. If we let these attributes stand alone, it is not a pretty picture of God we have. It is a terrifying one, and we should rightly be terrified at the prospect of meeting this God. Sadly, many folks have grown up knowing this false, one-dimensional god who is all anger and has no love for his image-bearing creatures. But neither should we just consider God’s kindness without also considering God’s sternness because then we get a doting old grandpa who really doesn’t care about what the kiddies do with their lives or God’s creation. As we just saw, sin and evil do matter to God because they corrupt God’s good world and dehumanize his image-bearing creatures whom God created to run his beautiful world. So the point is, we have to keep both the kindness and sternness of God in mind if we want to know God’s true character. But here’s the rub. I suspect many if not most of us focus more on the sternness of God than on God’s kindness. Like David in Psalm 51, we know our transgressions all too well and our sin is ever before us, i.e., we find it hard to forgive ourselves, try as we might. And if we can’t forgive ourselves, how can God? This, combined with the fact that many of us were taught that God is more stern than kind, and fundamentally hostile to us, can produce no small amount of personal anxiety. We walk around waiting for God to drop the hammer on us because we are such rotten people and are terrified about what awaits us when we die. The writer of Hebrews sums it up nicely for us: It is a dreadful thing to fall into the hands of the living God (Hebrews 10.31). If you are such a person, then listen carefully and ask the Holy Spirit to give you ears to hear and a heart to believe as I continue because I’ve got some really Good News for you this morning. To be sure, evil and sin are offensive to God. As we have seen, God created this world and its creatures good, and God created humans to run his world on God’s behalf. When we do that well, things cannot go better for us. We can only find real and lasting happiness when we live our lives according to God’s creative purposes for us. Sadly, however, most of us didn’t get that memo and we seek to create our own happiness, which often conflicts with God’s creative purposes and intentions, and God finds that offensive. Not because God is an ogre and hates us, but precisely because God loves us and wants the best for us. God knows that when our relationship with him gets disrupted and we find ourselves alienated from him, that sickness, madness, anxiety, and ultimately death enter into the picture and that’s not why God created us! So what to do? Humans have a rich history of trying to play God and create our own failed solutions to the problems we have created and the alienation we experience with God our Father. So God took the initiative to end our alienation and reverse sin and evil in the world. God did that, of course, by becoming human and dying on a cross for us so that God could rightly condemn our sins without having to condemn us. Not only that, but as the NT writers affirm, God conquered evil and death, replacing both with light and life in Jesus’ death and resurrection. This is the faith Paul talks about in our epistle lesson, a faith that causes us to be put right in God’s eyes right here and now, a faith that allows us to know that we will not be condemned at the great final judgment at history’s end. That’s the logic of justification. But as we have seen, this is all rather clinical and abstract. It really doesn’t get at why God did all this for us. But if you paid attention to our epistle lesson, Paul tells us. In what is probably our earliest statement about the doctrine of atonement, in which we are reconciled to God through the blood of Christ, Paul writes these breathtaking words: The Son of God loved me and gave himself for me (and you and you and you). These words speak of the cross as an act of love, and not simply a cold legal transaction. They speak of arms outstretched in love, and a heart bursting for love. They speak of the self-giving love offered to the undeserving beloved, you and me, so that we might rediscover (or perhaps discover for the first time) the true heart of the Father. If you want to know the kindness of God, look no further than the cross. On it, the sternness of God was satisfied and we were saved from evil, sin, and death because of it. It is the only way we can escape and find new life, new hope, and new and fresh forgiveness. Apparently even the worst of the worst kings, the very man who, because he was a king, should have embodied the love of God for his people but didn’t, could find God’s kindness when he humbled himself before the sternness of God. That speaks volumes about the heart of God! Next we turn to our gospel lesson this morning. Remember who Jesus is as we look at this story. Let the scene rise on your mind. Jesus is invited to dine with a Pharisee. Luke doesn’t tell us explicitly that things were a bit tense from the beginning, but as the story unfolds it is clear that Jesus didn’t have a lot of fans dining with him. Perhaps Simon the Pharisee had heard Jesus previously and was skeptical about all this love and grace stuff that he taught and demonstrated. After all, if you wanted to remain pure, you had to stay away from sinners and treat them like the losers they are. So here was this wandering preacher from Galilee, rocking people’s boats and moving their cheese with all this talk about God’s healing love and forgiveness. We know Simon wasn’t completely warm to Jesus because he didn’t offer Jesus water to wash his feet or oil to anoint his head, both common courtesies of the day for invited guests. Neither was there a kiss of peace, which was also extended to invited guests. As they are eating, a woman enters Simon’s house and crashes the party. Apparently it was the custom of that day to allow access to a meal in honor of a major teaching figure like Jesus. And this is where the fun and scandal began. Luke doesn’t tell us anything about the woman, only that she was a notorious sinner. Luke doesn’t even name her sin, only that it was well-known about town and her reputation preceded her. We get that because we have peeps with similar reps in our little congregation like, well, you know who you are. We know what we’re dealing with here! Now the scandal wasn’t necessarily the woman’s presence, although that would have made good folks like Simon uncomfortable. No, the scandal was that the woman apparently came to anoint Jesus, to touch him. But she starts to cry because she apparently had experienced the real love and forgiveness that emanated from Jesus. We aren’t told how this came about. Perhaps she heard our Lord preach. Or perhaps she had a private encounter with him that went unrecorded. It really doesn’t matter because the fact is, we are looking at a notorious sinner who had found the love of God pulsing through Jesus and it affected her in a massive way. Tears of joy and gratitude are now washing Jesus’ feet and to the horror of the other guests, she lets down her hair, something that decent women would never do in public, to dry her tears. After all this, she finally gets around to anointing Jesus’ feet with oil, itself a costly and extravagant act. If the oil was nard, it would have cost a year’s wages for one pound. This was no small gift she was giving Jesus! As any good self-righteous person would, Simon takes offense at the scene. Any thought that Jesus was a prophet was immediately dismissed. This dude’s no prophet. He doesn’t know the kind of woman he’s dealing with. He’s letting a whore touch him! Not so fast, Simon, Jesus replies. I came to your house and you offered me none of the usual courtesies. In failing to do so, you showed me your heart, and is it ever hard! This woman has done for me what you should have done, but for very different reasons. She has come to me in humility and love, and look at the extravagance of her love! Because she has found forgiveness, it has changed her and turned her into a real lover. Her sins, which were many, have been forgiven and you are seeing the results of that forgiveness. How can you possibly embody the love of God for all people, irrespective of who they are or what they have done, if you shun them and condemn them outright? Jesus could have also told Simon to watch as Jesus went to the cross to die for men just like him. This is how God’s love must be embodied. And then turning to the woman, Jesus tells her, “Your sins are forgiven. Go in peace. Your faith has saved you.” It is crucial we hear these words because underlying them is a massive authority—the authority of God himself. Think about it. Here we are, seeing God himself in the person of Jesus, offering forgiveness and love to apparently one of the worst of the worst in that town and in that day. This is what amazing grace and love look like on the ground, my beloved. There are three things I want us to think about in closing. First, notice that Jesus didn’t condone the woman’s sins. He simply forgave her. By all worldly standards, she was unworthy to approach him and unworthy to be forgiven, but she was forgiven anyway. And because she knew her sins had been forgiven in a real and substantial way, her heart was bursting with love and gratitude and humility. This always happens when we really experience God’s love and forgiveness in Christ. The sternness was there in that Jesus did not mollycoddle her. But at the end of the day, there was forgiveness offered first rather than condemnation, thanks be to God! Second, in this story we find instruction on how to both treat others and ourselves. How do you treat folks who are known sinners? Do you shun them and judge them and look down on them like Simon did? Or do you welcome them into your world so that you can embody the love of God for them like Jesus did? And while we are at it, do you allow the love of God made known in Jesus to work on you so that you can experience and really know God’s healing forgiveness? The woman’s story was no fluke. When we dare have the faith and trust in Christ to let him into our deepest, darkest closets and ask him to forgive us and love us, despite who we sometimes are and what we sometimes do, the woman’s story and the testimony of countless others all speak to the reality and power of Jesus’ healing and forgiving love for us. The only hearts that Jesus opposes are the ones like Simon’s that are self-righteous, haughty and proud, and judgmental. That kind of heart doesn’t even think it needs to be forgiven and our Lord obliges reluctantly. Simon the self-righteous found himself outside looking in on a scene that we all desperately hope to be part of. But even he could be forgiven with a dose of humility! This leads us to my final point. Stop for a moment and put yourself in the woman’s place. I”m going to pause and give you some time to do that. Approach Jesus with your wounds and hurts and fears. What in your life desperately needs to feel the healing touch of our Lord’s forgiving love? Lay it out before Jesus and don’t be afraid. Let his healing love wash over you like refreshing waters. Hear him tell you the same thing he told the woman. Your sins are forgiven because I love you and gave myself for you so that you could find new life and hope and peace. Go in that peace. I love you. I want you to be with me where I am. Let my love and forgiveness heal you and transform you so that you can do for others what I am doing for you. Will you trust me? Will you dare love yourself enough to believe I can and want to love and forgive you? When you experience Jesus’ healing love, you will surely know that you have Good news, now and for all eternity. To him be honor, praise, and glory forever and ever. On this date in 2010 at First United Methodist Church in Van Wert, OH we debuted the anthem commissioned in my mother’s memory, Longing to Draw Near by Craig Courtney. My grandparents Maney were married on this date in 1917, my dad participated in D-Day on this date in 1944, I graduated from high school on this date in 1971, and my daughter Bridget graduated from high school on this date in 2008. June 6 has been a big day for the Maney family! Today, June 6th, marks the 72nd anniversary of the D-Day invasion, the greatest amphibious assault the world has ever known (and hopefully will ever know). Sadly, most of those valiant soldiers are now dead, and our country is the poorer because of it. The Normandy invasion was a terrible and costly effort on the part of the Allies and must have been horrendous to those who had to face the deadly onslaught of the Nazi defenders. I would commend Stephen Ambrose’s book, D-Day, to anyone who is interested in this monumental battle. Ambrose was a wonderful storyteller, which all good historians are, and meticulous in his research. He weaves an absolutely riveting and terrifying tale of what the first troops landing in Normandy that day faced, and anyone with a semblance of imagination who can put himself in those soldiers’ shoes is sure to wonder if he could have faced that deadly fire with the courage and resoluteness that those soldiers did. I am simply awe-struck by it all. John F. Maney at Normandy waiting to disembark. I am also proud that my own father, John F. Maney, was part of that great and historic event. Fortunately, he did not have to hit the beaches until D+2 because it wasn’t until June 8th that our forces were able to establish a beachhead substantial enough to land a significant artillery presence, of which he was part. Like many of his generation, my dad is now dead, but one of my fondest memories is when we went back to Uffculme, England in 1984 to visit where he was stationed. We went into a pub to get some supper and find a place to sleep that night, and ultimately were led to a man who had been a “honey-dipper” while dad was stationed there, prior to D-Day. When Roy entered the pub that evening, he shook my dad’s hand and said to him, “Hello, young soldier.” He then welcomed dad back and thanked him for his service. It was as poignant a moment as I have ever experienced because my dad was no longer young and was no longer a solder; but he had been there, and he had been part of that monumental effort. I will always treasure it. Thank you, young soldiers, for your bravery and determination in defeating an unspeakable evil that was Nazism. You paid a terrible price so that the rest of us can enjoy our freedom. I hope and pray we do not forget you or your generation, or the price freedom sometimes requires to persevere. Likewise, I pray we will not forget what it means to live responsibly in this democracy of ours so that we will not abuse the freedoms for which so many of you fought and died. Who are your heroes from that generation? If they are still alive, take a moment today and thank them for being who they are. Sermon delivered on Trinity 2C, Sunday, June 5, 2016, at St. Augustine’s Anglican Church, Westerville, OH. Lectionary texts: 1 Kings 17.8-24; Psalm 146.1-10; Galatians 1.11-24; Luke 7.11-17. Last week, we saw the great faith of the Roman centurion and the healing of his servant that resulted from the centurion’s faith. It was a faith so great that even Jesus was amazed by it. Then in today’s OT lesson, we see the faith of the widow of Zarephath and how her faith sustained her family through a severe drought. Conclusion? It takes great faith for God to act in our lives, right? I mean, isn’t the Bible all about a bunch of rules we need to follow if we want to receive God’s blessing? Do the right things and we’re in. Do the wrong things and we’re toast. Well, if that’s true, how do we explain what happened in our gospel lesson this morning? And what about those miracles? Aren’t they simply about the good guys getting their just reward for being good? But if that’s the case, how do we explain, e.g., the prophet Elisha healing the Aramean commander Naaman, a sworn enemy of God’s people Israel (2 Kings 5.1-19)? Seems that things aren’t always as straightforward in Scripture as we would like them to be and this is what I want us to look at this morning. How do we make sense of the stories that make up the broader story of God’s rescue plan for us and his broken and hurting world? We can all relate to the widows of Zarephath and Nain, can’t we, especially the widow of Zarephath. She’s shown her faith in Elijah’s God, a God not yet her own, by obeying God’s prophet Elijah. And what’s the result? Her only son dies! She complains bitterly to the prophet. You’ve come here to expose my sin to your God and he has killed my son because of it. I know this is true because any God who is powerful enough to sustain us through this long drought is powerful enough to kill my son! We get this mindset. How many times has something bad happened in our own lives and we are quick to conclude it is God punishing us because of our sins? But God didn’t demand the life of the widow’s son as a payment for her sins. No, that would come much later when God entered our world as Jesus of Nazareth and died on a cross so that God could rightly condemn our sins and not have to condemn us (Romans 8.3-4). This is quite a different God we are talking about than what the widow of Zarephath imagined, and what sadly we all too often imagine, especially during times of trouble. This is the God made known to us supremely in Jesus Christ. Do you know this God? I mean, really know God’s love for you? So what are we to make of the oil and grain not running out? And even more astonishingly, what are we to make of the dead being raised back to life in both our OT and gospel lessons? A couple more questions before we go there, however. How many times have we prayed for someone we love to get healed only to have the person end up getting worse or dying? Or how many of us have prayed for a certain outcome for something that was very important to us, only to have it denied? We want to rationalize it away, when that happens. We say something to the effect that everybody knows things like the dead being raised or foodstuff not running out just don’t happen. But if you are like I was at one point in my life, we are secretly terrified that the real reason God didn’t answer our prayer is because we have fallen out of favor with God and he’s punishing us by not answering our prayers because we’re such rotten people. After all, aren’t stories like the raising of the widows of Zarephath and Nain’s sons there to teach us that God does really great things for those he favors? You know, those who unlike us are obedient? Miracle stories are present in the overarching narrative of Scripture for three primary reasons. First, they are there because they actually happened and the writers of Scripture faithfully report them as happening. Second, stories like the raising of the dead and the endless supply of oil and grain are present to validate the characters in the story. So, for example, in our OT lesson, Elijah is validated as a true prophet of God. Prophets, you recall, serve as God’s mouthpiece. God sends them to his people to remind us who God is and what God wants. In this case, God sends his prophet into enemy territory where a false god (or idol), Baal, is worshiped. Baal was supposed to be a god of fertility and rain. So what does God do? He sends a drought on his own people who have succumbed to worshiping this idol to show them they are worshiping an impotent and phony god, and the drought has spilt over into Baal’s home country. By sending Elijah to Zarephath, God is demonstrating that he is not a local god but the God of all creation. There are no borders or boundaries that can contain him, much as we like to try. And in obeying Elijah’s command to give him something to eat and drink, the widow of Zarephath demonstrates faith in Elijah, that he is a true man of God. We aren’t told why she obeyed. Perhaps she really took Elijah at his word. Perhaps she did so out of desperation. What did she and her son have to lose? They were going to die anyway! In not telling us her motive, the writer surely wants us to see that proper motive isn’t always needed, that God’s grace and love will spill over into our lives despite our doubts and fears. After all, God is bigger than the little worlds we construct. In fact, God is greater than the vast cosmos he created. God will do what God is going to do, and because we have the cross of Christ, we know that what God does is always for our good, even when we cannot see it. So God does this miracle of sustaining the widow and her son, along with Elijah, and the woman is helped to see that Elijah is the real deal. He speaks for God and acts on his behalf. We are invited to see exactly the same thing in our lives. The only difference is that we don’t have 20-20 hindsight in the living of our days like we do when we read stories like these. That does not invalidate the truth in the stories, however. But there’s more. Apparently the widow also needed something more than this miracle to help her see who God really is. And so her son dies and the widow is beside herself and left without hope. In that day and age, widows were basically on their own, left to the mercy of others, and mercy was often a rare commodity. Now with her son dead, the widow really had no one left in this world. We all know how it feels to think we are in it up to here all by ourselves, with no one to help or care about us. It ain’t a pretty picture. Multiply this feeling exponentially and we can begin to appreciate the widow’s complaint. But here again, God acted, not necessarily because the widow had found favor in his sight by being obedient to Elijah, although that surely was true. God acted to show a people who did not know him that he is bigger than even their worst enemy, death, and therefore worthy of their worship and loyalty. Remember, nothing is too hard for God. Nothing. And sometimes we need to be reminded of that through mighty acts of power. That is why it is important for us to remember that miracles still happen today, from the spectacular to the mundane. Every time we hear of cancer being miraculously healed (from our point of view), or every time we are healed by antibiotics and sickness is vanquished, we are reminded of the true character of God and his active presence among us. This knowledge leads us to the last reason we read about miracles in Scripture. Miracles give us a foretaste of what is in store for us when Jesus returns to usher in the new heavens and earth. People are healed. The dead are raised. Scarcity is no more. There is only health and wholeness and life and abundance, and miracles announce this in spades. That is why we need to pay attention to our gospel lesson. While both lessons featured the raising of the dead, there are important differences. Elijah had to pray to God for the boy to be saved, and then Elijah acted accordingly. Jesus didn’t have to do that. He just spoke the word and the son was raised. In doing so, Luke, like the writer of 1 Kings, wants us to see who we are dealing with. This is Jesus, God’s promised Messiah who would free his people from their slavery to sin and death. This Jesus, acting on God’s life-giving authority, spoke the word and raised the widow of Nain’s son, just like he will speak the word one day and raise those of us who believe him to be God’s Son and Messiah back to life. It is the word we all desperately want to hear. And notice that there was no faith required for this miracle to happen. Of course, as we saw last week, Jesus desires us to have great faith in him because faith shows itself in obedience. But faith is not necessary for Jesus to act. In this instance, Jesus saw a worst-case scenario and acted out of love and compassion for the widow to make things right. Pay attention to that because God has the same love and compassion for you. Of course, her son would eventually die again, just like Lazarus did. But this misses the point of the story. Jesus is who he says he is. He is the resurrection and the life, and those who believe in him will live, their mortal death notwithstanding. (John 11.25-26). Luke is also preparing us to hear the story of Jesus’ own death and resurrection. Did the widow of Nain receive God’s favor? Of course she did! But that too misses the point. The point is that the people perceived that God’s power was active and demonstrable in their lives in the person of Jesus, and their faith was strengthened because of it. May God grant us grace to be similarly strengthened and encouraged when we hear these stories. That’s why they are told: for our benefit and because God loves us. In closing, therefore, I encourage you to apply the lessons we have talked about today to your own life. What fears and doubts do you need to bring to Jesus? Remember, he may not answer your prayers the way you ask for or hope. But if you bring your hurts and fears to him in prayer with these stories in mind, you will be reminded that once he enters into your dark place with you, you will get through it. After all, he is God your Creator who loves you and has given himself for you so that you can live. If that weren’t true, the cross makes no sense at all. Why would a God who hates us and is bent on punishing us become human and die a terrible death to rescue us from our sin? Reflect on that. And as you do, keep in mind the widow of Zarephath. We don’t know why she obeyed, only that she did. Her faith was not perfect and her motives might not have been the right ones. We don’t know. But God never demands 100 percent perfection from us. If he did, we would all be toast because we all come to him with a mixed bag of good and not-so-good intentions. But God loves us more than our messiness, and God’s loving power is greater than our fears and unbelief. The next time you doubt that, go back and reread the stories of the widow of Zarephath and Nain. Read also the story of Paul and his conversion (Acts 9.1-19a), and his undying faith in the crucified and risen Christ because of it, a faith he was defending in our epistle lesson. Note the more mundane miracle Paul describes, that people gave God glory because a former persecutor had become a faithful preacher of the gospel! Trust that these stories have the power to help boost your sagging faith and fearful heart because you worship and love as best you can the God who loves you and has the power to destroy evil and death forever. The result? Never-ending abundant life starting right now. Surely then you will know that you have Good news, now and for all eternity. To him be honor, praise, and glory forever and ever.